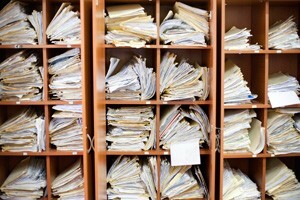 We Keep Your Business Documents Organized So You Don’t Have To. Document storage is one of the most pivotal aspects of running a successful business, which is why you want to make sure your transition to paperless record keeping is both smooth and easily manageable. Document Scanning Services LLC can help you through this transition with the help of document indexing, a process which sorts your digital information into files for fast retrieval. The files are tagged and sorted into a database where users can quickly search and locate documents, eliminating the need to dig through documents which can be time consuming. Our document indexing services will help ensure your company’s information is filed both safely and efficiently to help improve your data retrieval process. Full text indexing involves indexing the entire document. This method allows the user to search for a document using a wide combination of words and phrases within the document’s text to help broaden your search. Metadata indexes specific words or descriptions. We are a Ft.Lauderdale document indexing company that can help streamline your digital files using both full text indexing and metadata—you simply choose how you want us to sort your files and we’ll take care of the rest. To receive more information on our document indexing services, call us today at 954-271-0118 or fill out our online form for a free scanning quote.